In 2003, a Russian boarding school for deaf students caught fire in the middle of the night. In the old building, there were no flashing alarm lights or vibrating beds to awaken the students. There were no emergency precautions in place at all. Instead, 28 young boys lost their lives to the blaze, while teachers frantically ran room to room, desperately pulling children from their beds. Catastrophe can strike at any time, anywhere. Imagine learning there was a major disaster near your home, but not having any reliable information about it. Imagine the fear and panic caused by a flood, hurricane, or wildfire. If you couldn’t communicate with anyone, would you know what to do? If your hard of hearing parent were in the disaster zone, would anyone help them? The severe lack of centralized emergency management provisions for the Deaf is alarming, and definitely unequal. While the hearing population gets bombarded with crisis updates across multiple media, to the point of redundancy; deaf citizens are left confused, trying to follow news reports without closed captioning or digging for info on the web. Deaf individuals are more likely to miss early warnings because they aren’t listening to the radio or television. Keeping up with real-time developments is difficult when you cannot just flip on the news, and relying on secondhand information from hearing citizens is hardly sufficient. Following emergency situations, many deaf survivors report that they did not fully understand what occurred until a few days or even weeks later. During the Hurricane Sandy press conferences, I had to firmly advocate for visibility on screen. 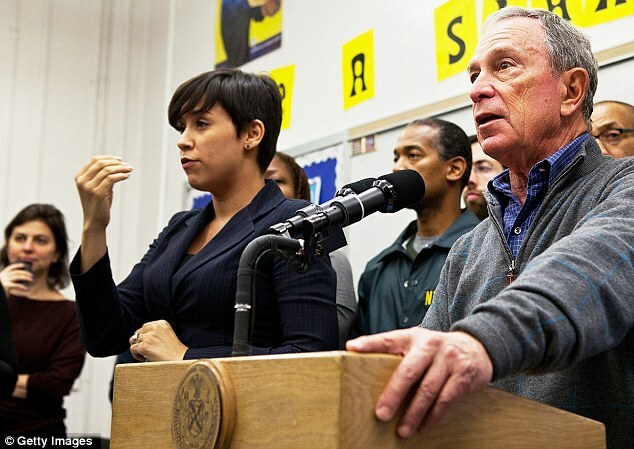 What Mayor Bloomberg had to say was critical for New Yorkers to know, and it was my job to make sure that message was delivered to the deaf community. In the middle of a crisis, ASL interpreters cannot do our jobs from the sidelines! We should not have to insist on the importance of our role, and it is uncomfortable to defend yourself at a time when people may be in danger. Interpreters serve the community best when they are front and center. I have heard numerous reports of interpreters being present during press conferences, but being left out of the shot on air. How on Earth can an interpreter deliver a message to the deaf if he or she cannot be seen on TV? When there is a crisis, everyone needs to know the procedure. Every person deserves to remain informed and up-to-the-minute. It is not fair that, because deaf people can not speak, they get left behind or are moved around without explanation. It is not fair that a frightened deaf child looking for her parents during a disaster would just remain confused in silence. Emergency personnel arrive, but interpreters do not arrive with them. When Hurricane Katrina hit, there seemed to be no FEMA provisions for the hard of hearing, and deaf survivors were never informed when volunteer interpreters were finally available. This lack of organization resulted in frustration and wasted interpreter resources, and it happens far too often. 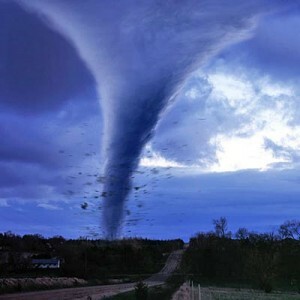 During the recent tornado in Moore, OK, deaf residents were fortunate to escape with their lives, receiving secondhand updates from friends and family members. An unofficial FaceBook page was created to account for deaf residents. Why is this our emergency management plan? There are more technologies available to us than ever before, and I would love to see some of these utilized for large-scale disaster management. 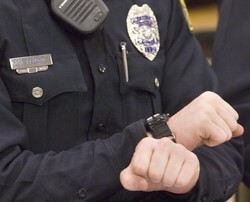 Personal data is collected by nearly every agency in existence, it seems like some of this information could be used by police and emergency responders to identify and assist deaf citizens. 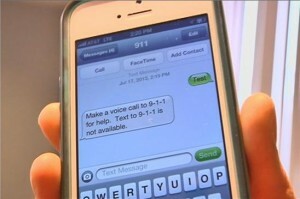 Text 911 is finally being widely implemented but, in the age of the smartphone, why has it taken so long? Some forward thinking is needed to further the practical use of our modern capabilities. In addition to better technological communication, I firmly believe that police, fire, and medical personnel should receive basic ASL training. There are more than 10 million individuals with some form of hearing loss living in the United States today, including 15% of those over 65. In the event of a major catastrophe, that means there are 10 million people who might not hear the news report or evacuation instructions, and these numbers are large enough to warrant some attention. Emergency responders should be trained to assist the deaf population with basic instructions in ASL because deaf citizens deserve the same service and protection as everyone else. Human life is the number one priority during a disaster and, if deaf individuals are not kept informed, they will likely be left behind.